Arguably one of mankind’s greatest artistic achievements, Michelangelo’s frescoes on the ceiling of the Sistine Chapel in Rome are timeless masterpieces. 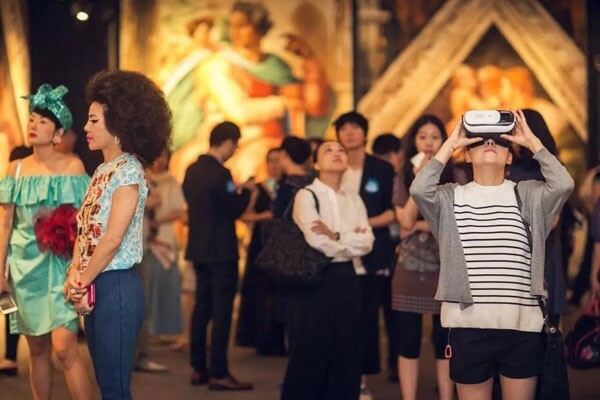 Whether you have seen them in person or not, Michelangelo’s Sistine Chapel: The Exhibition will allow you to immerse yourself in the art from a new perspective in an innovative and unique way. The exhibition’s museum-quality, nearlife-size photographic reproductions of the iconic master’s frescoes were created with special expertise and care using state-of-the-art technology. To help people engage with and comprehend the artwork, the paintings are displayed on 16-foot panels in 34 parts. As you observe the artwork, you will be overwhelmed by its dimensions, your closeness to the picture, and the modern style of the exhibition. 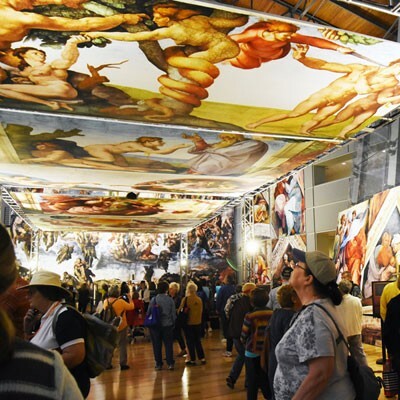 You’ll be able to explore the scenes, including The Creation of Adam and The Last Judgment, at a close distance impossible to achieve in the Sistine Chapel. The exhibit debuts on Sept. 21 at the historic Tacoma Armory at 715 S. 11th St. and runs through Oct. 14 (dark Mondays and Tuesdays). An optional audio guide with narrative accompaniment will be available in four languages. Advance tickets are on sale at broadwaycenter.org, in person at the Broadway Center box office at 901 Broadway, or by phone at 253.591.5894. Same-day tickets will be available for sale at the Armory. A special launch party will take place on Sept. 21 at 7 p.m.